The Grammarly is one of the greatest writing error removing tools in the World. It is a great tool for the content writers and bloggers in order to remove grammatical, spelling mistakes, and other related errors with just a click. The big authorities have also praised it for its working efficiency. What about the people who already have a Grammarly account? 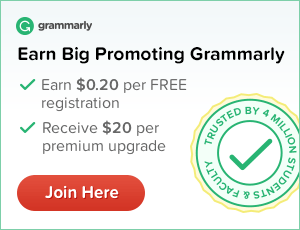 If you already have a Grammarly Free Account, then Log in your account and you will get the details in the dashboard to win the premium subscription. Do share this post with your friends through social media and email newsletter. It will show you care for them.